Life is a beautiful experience. You are here to enjoy, connect and follow your unique journey. But sometimes the stressors and challenges of daily life can throw you off from the reason why you’re alive. You may feel exhausted mentally and physically, disconnected from yourself, and unhappy with your current life situation. There are many things in the external world that can utilise and drain your energy – work responsibilities, emails, family, kids, social media, etc. Taking space for yourself, giving yourself “me time,” might be exactly what you need to relax, refresh and nourish. Getting away from it all can give you a greater perspective of life so you can experience the beauty of being alive. 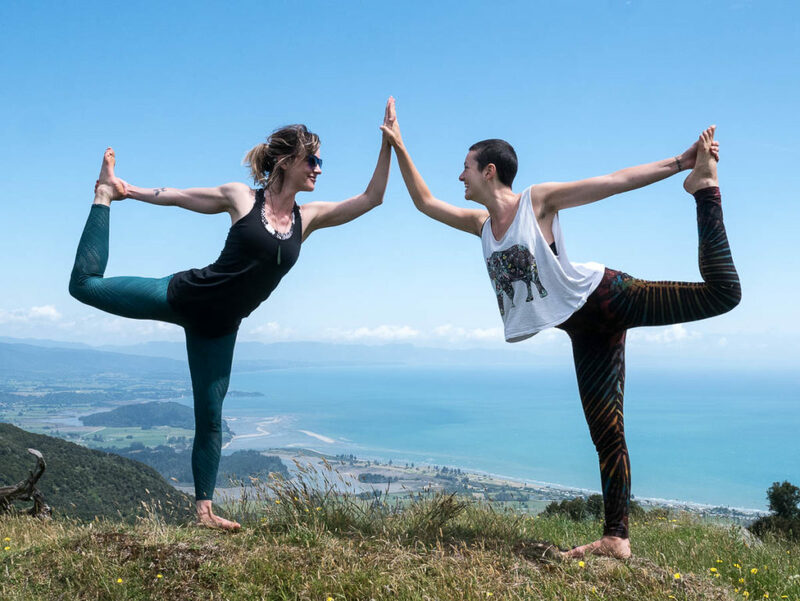 We interviewed Swami Karma Karuna, the director of Anahata Yoga Retreat, on why you should take a personal retreat. Read on to gain information, insight and inspiration on how retreating can realign you back into daily life with more balance and energy. What’s important about getting away from daily life and taking time for oneself? I think it’s the same as when you put your car in for a warrant of fitness. The human mind and body, like a car, needs to get checked in with and nourished by getting the oil changed and making sure everything is aligned. When you take a personal retreat, give yourself space and time, you basically recalibrate. You can give yourself an opportunity for a digital detox, to turn off from the daily onslaught of sensory inputs, to reconnect with yourself and to gain more tools that you can then integrate into your daily life to enable you to operate with more balance. How can one reconnect with themselves at Anahata? There’s a lot of ways to support yourself at Anahata. Firstly by being in the environment itself. You’re in nature so there’s no noise pollution like in the city. This allows your body to get into a more natural harmony and you sleep and rise with the natural rhythms. You don’t have all the toxins and inputs which are usually around that can make it harder to sleep as deeply or leave you more stressed. So you get to take a break from not only the daily input but also the things that might concern you at a deeper level. There’s an opportunity to, not run away from these concerns, but to have a gap or a space, that gives you more perspective. You also have the practices. 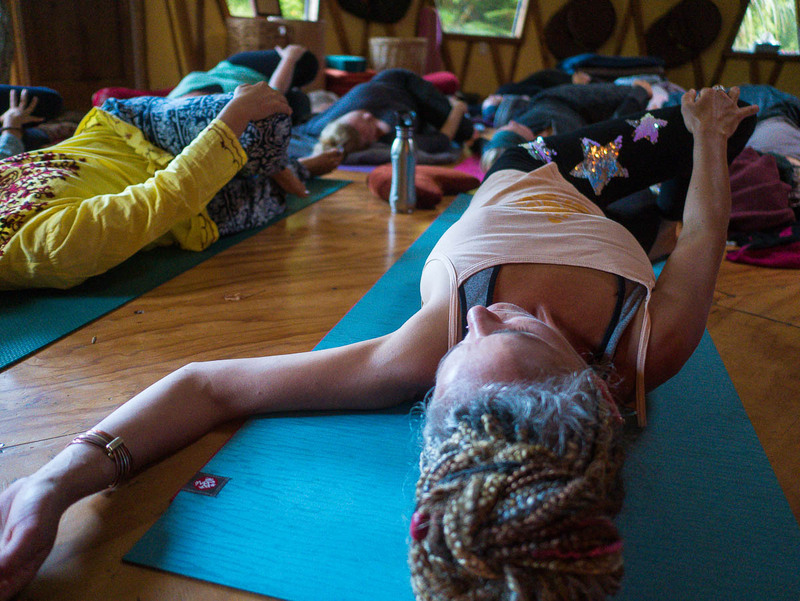 Whether you come just for yourself or in a particular themed retreat, you practice asana (physical postures) which stretches the body and daily yoga nidra (deep relaxation) which allows for being in a more balance and receptive state. You also have meditation practices that give time for reflection and spaciousness that perhaps you don’t have in your daily life. All of these practices allow you more opportunity to hear your inner voice and to know what’s going on at that physical, mental and energetic level. When you are externalised and have a lot of input through all the senses, your body and mind are constantly processing that. You can be primarily in the future, thinking about what’s next or perhaps in the past being influenced by memories or different challenges you might have had. When you’re in this environment you’re given the chance, support, guidance and practices to be in the present moment. When you’re in the present moment, there’s an ability to have more clarity with yourself and more perspective on life. Not only does your body and mind get nourished but you also get the right support to open yourself to your deeper inner voice. Often when we go on vacation, we again, fill it up. We fill the space and time up with busyness. Often for people, and everyone does vacation differently, it could be made into a bit of a party. For example drinking alcohol or treating yourself to eat heavy meals. I’m not saying you can’t ever do that, but when you come on a personal retreat you’re able to have a digital detox, food detox, detox off alcohol or other things that alter the mind or body. This allows you to reset and come back to that point of balance. Often this gives you the inspiration to continue and deepen that in your own life. Whereas a vacation, you often come back exhausted from being so busy, eating, drinking, socialising or seeing new sights. These activities are actually utilising your energy rather than conserving it. You’re continuing in that flight or fight mode rather than shifting the experience to bring you into relax and digest mode. The relaxation response is turned on by activating the parasympathetic nervous system from the daily yoga and meditation practices. Not to say you shouldn’t go on vacation, but many times people need to have a vacation from the vacation! What does one bring home after a personal retreat? Firstly you bring home the sense of nourishment because you have someone else who is cooking for you and holding space for you to be with yourself. Perhaps you bring home some new inspirations on how you can nourish yourself. You take away practices that can support you like yoga nidra, perhaps some postures you find useful for your body, or a meditation practice. You bring home memories and new friends; people often form very deep bonds in quite a short time because there’s a resonance. People are often in similar points in their life or they’re going through some type of challenge or change and they feel supported by each other in this environment. You can bring home lasting friendships. You bring home having had a true and deep rest and the unique clarity that comes from touching in with yourself in such a way has the potential to change your life. With a personal retreat there is time and space to walk in the native bush and have contact with the native birds. Maybe you give yourself permission to lay in bed and read a book. There’s different types of retreats as well. Some retreats you’re more intensively active with learning and taking in information, like the Yoga Nidra & Restorative Yoga Teacher’s Training or the Yoga & Permaculture Design Course. Other retreats have more space in them like the Explore Your ‘Self’ Retreats we have every month. Or there are ones you can just come anytime and take part in Anahata’s daily schedule. In that type of retreat you have a lot of personal space where you can do things you might not have done in a while like write, read, or paint! If you’re feeling ready for a break and want to improve your mental/physical health, taking a personal retreat may be your vacation sweet spot. At Anahata you can come for a couple days or a couple of months. 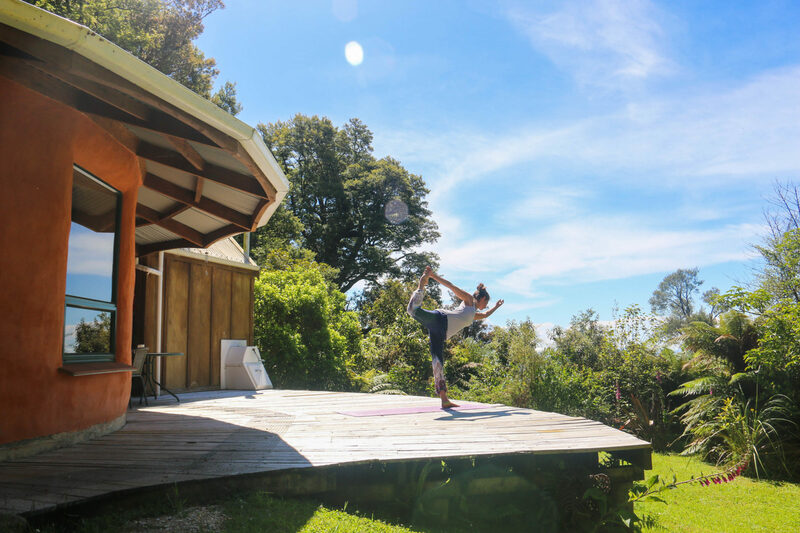 This spring refuel your tank by joining us on the Energy Renewal Easter Yoga Retreat on 19 – 22 April. Your mind, body and soul will thank you for taking the time to refresh so you can remember why you’re here.